For The Three Muses (moon). 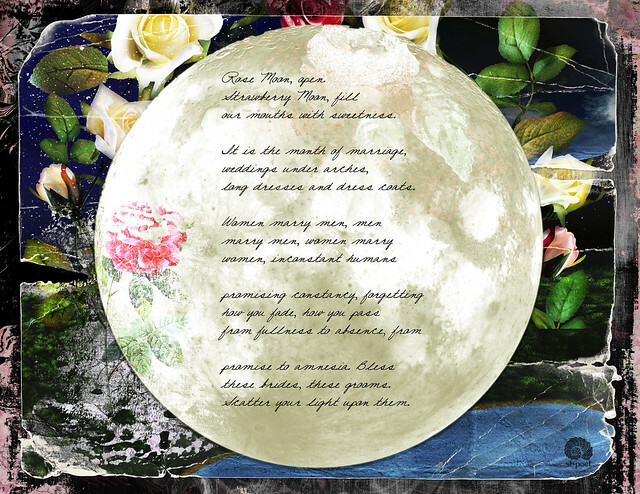 I wrote a series of moon poems in 2008; this is the June poem. Gorgeous collage and fabulous verse very clever and so true...a heck of a job on this Bravo. Beautiful art and words! wow! I like the idea of words visualising this way. Beautiful! A beautiful piece, my friend. Just exquisite.